New York: Armchair Detective Library, 1990. 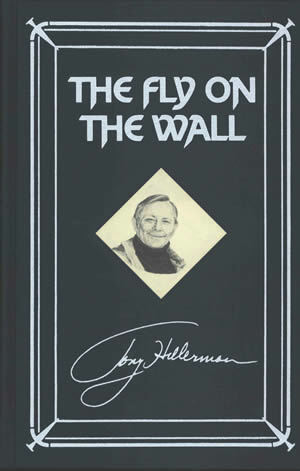 This the Armchair Detective Library edition of Tony Hillerman's The Fly on the Wall, published in 1990. This hardcover edition does not have a dust cover. It is fully bound in navy blue cloth. Binding: Fully bound, navy blue cloth-covered boards. On the spine, the book title, a dagger, the author name, and the Armchair Detective Library logo are printed in silver.